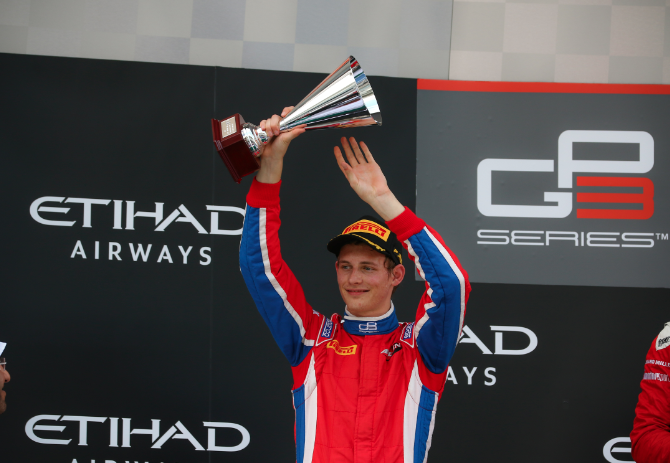 With outstanding consistency and great racecraft Emil Bernstorff achieved a higher race 1 finishing position average over the full GP3 Series season than any of his competitors. 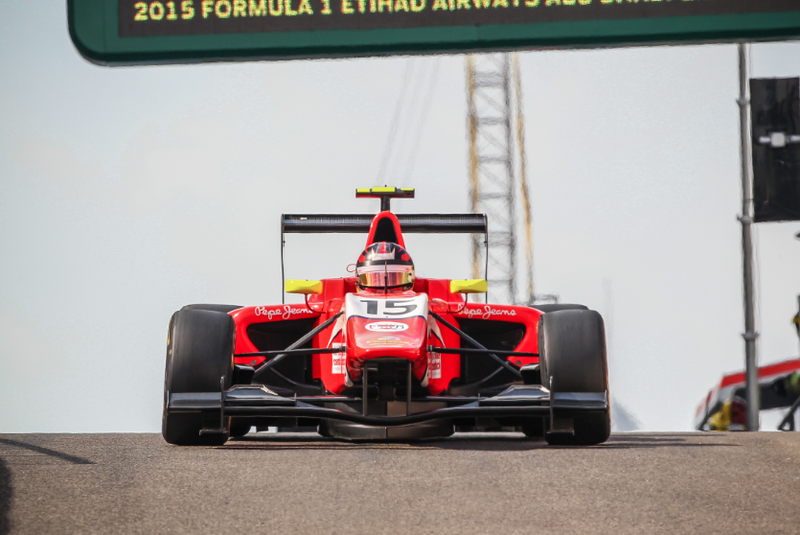 Despite this interesting fact the race 2 performances were not strong enough to have a serious run at the 2015 GP3 Crown. This was partly as a result of Bernstorff being hit 3 times each time causing a retirement. 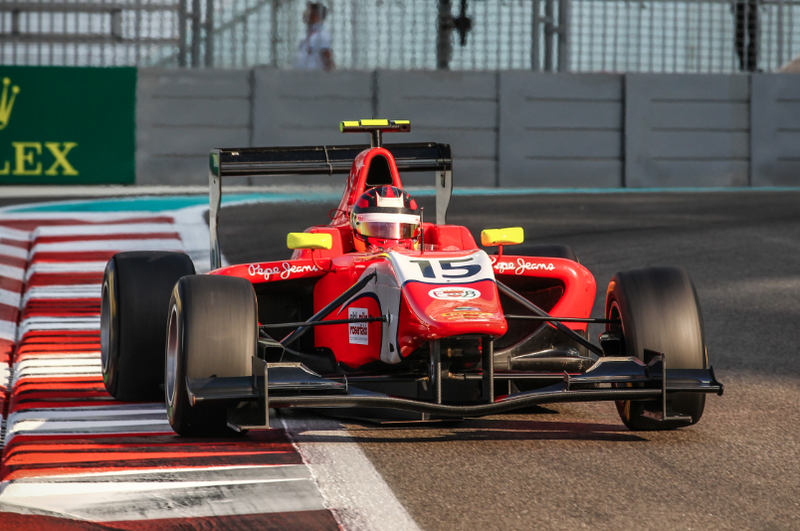 Again this weekend at the season finale in Abu Dhabi Bernstorff managed to move forward, going from 6th to 2nd in race 1. 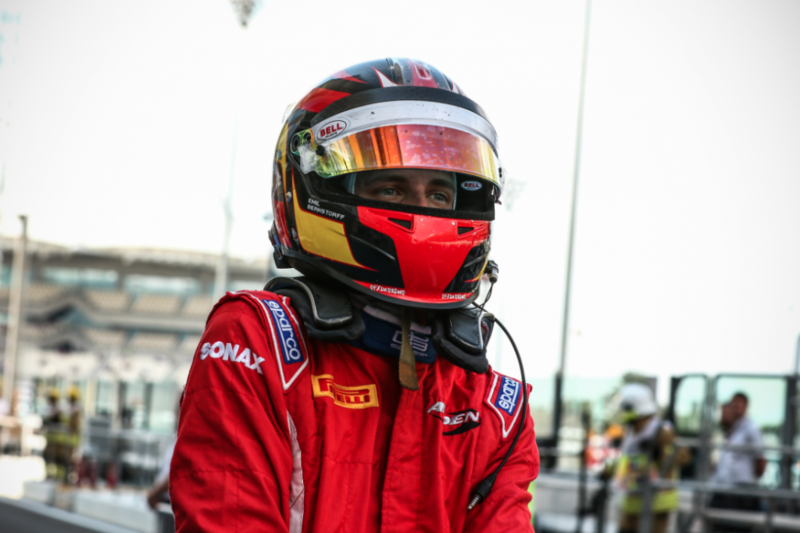 Once there he spent several laps putting immense pressure on Kirchofer but was unable to make the move for the lead and the win that would have put him back to 3rd position in the Championship standings. There was a lot less drama in Race 2 as the positions stayed pretty stable from start to finish, Bernstorff gained one place due to Parry suffering a puncture.